Fri., Nov. 10, 2017, 9:24 p.m. 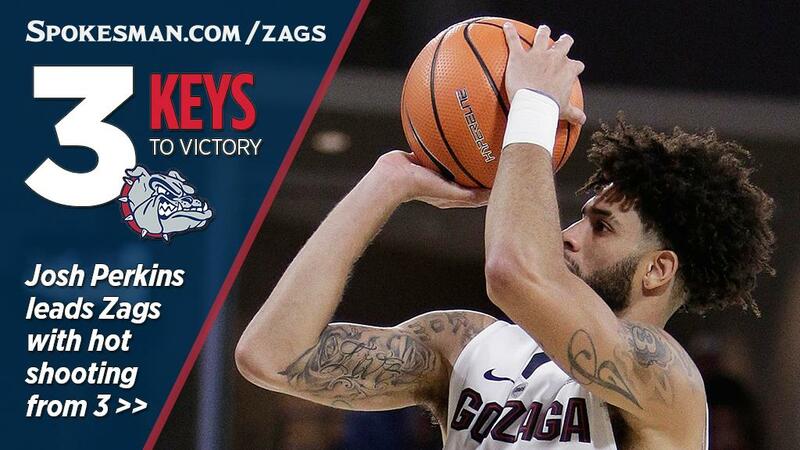 The Zags’ lead was cut to 40-29 before they closed the half with a 12-2 spurt to take a commanding 52-31 lead at half. Josh Perkins made two 3-pointers, Johnathan Williams added four points and Killian Tillie gathered a loose ball out front and drove for a dunk in the final seconds. Junior point guard Josh Perkins, who only attempted three shots in the exhibition win over College of Idaho, broke loose for 20 points against the Tigers. He buried six 3-pointers and attempted a team-high 13 shots. Senior guard Silas Melson was rock solid, as usual, on the defensive end, helping keep Texas Southern’s Donte Clark and Demontrae Jefferson somewhat in check. The two Tigers combined for 33 points, but made just 11 of 30 field-goal attempts. Melson had a team-high three steals. Published: Nov. 10, 2017, 9:24 p.m.